A Spa Day Party is a great way to relax with your girl friends. You’ll end up feeling pampered and refreshed, which is perfect this time of year. It is fun to begin with a great invitation. I chose this adorable online invite from Paperless Post. 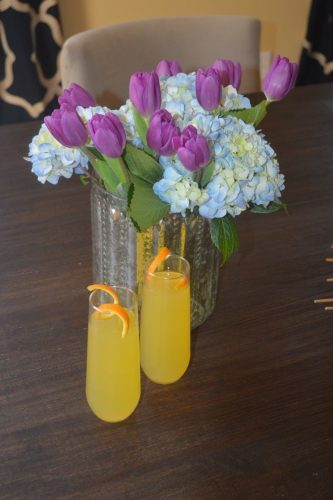 You can really create the mood for your party by making a simple yet posh floral centerpiece. I chose hydrangeas and tulips in a mercury glass vase. I then added some pretty scented candles to set the tone. 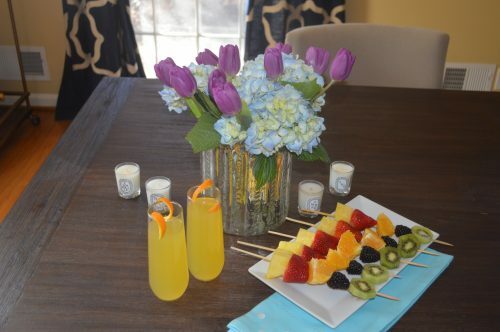 Some Clementine Mimosas and light bites like fresh fruit skewers let your guests relax and unwind. It’s great to keep your snacks in individual portions, so that it is easy for your guests to grab one! 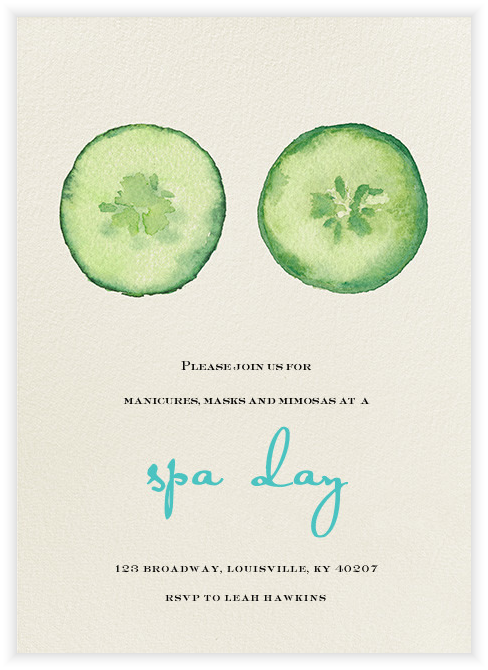 When it comes to spa activities to have at your party, you can get creative. I love to do hydrating masks. To make them even more refreshing, chill them before applying. Manicures are always a fun activity and you can mix it up with fun colors you don’t usually try. 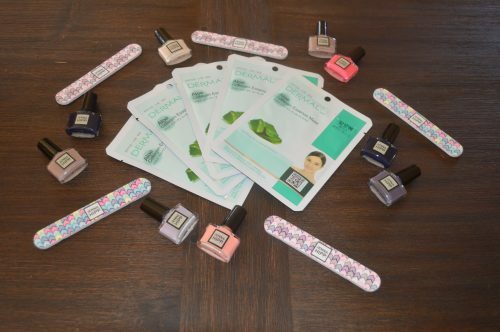 You can even include nail art! You and your friends will always enjoy catching up and sharing a laugh! Bonding over pampering yourself is the perfect activity! Here’s to a beautiful year!